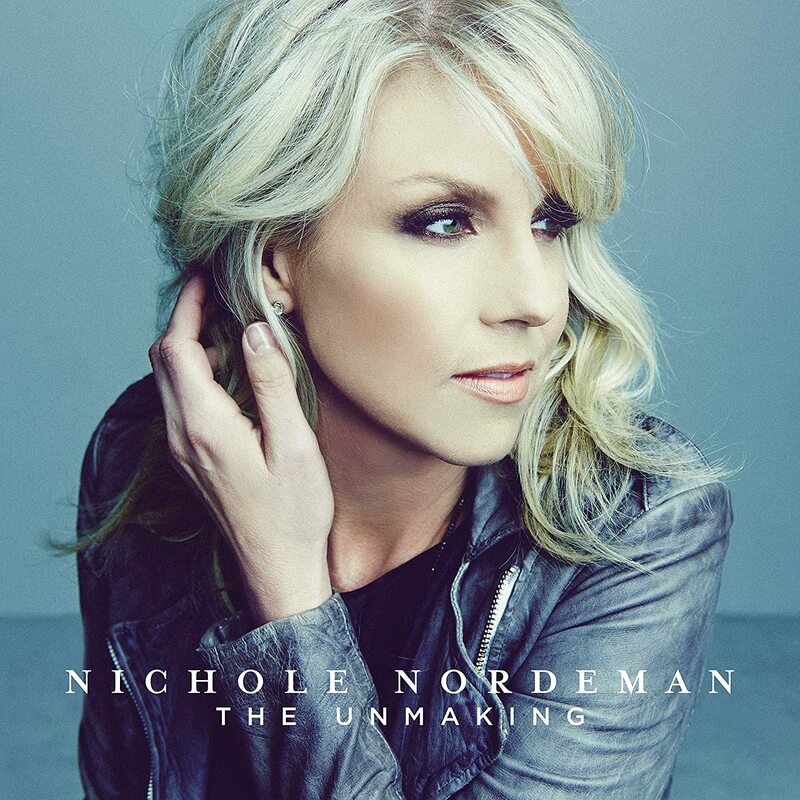 Nichole Nordeman is back with a brand new six songs EP, "The Unmaking". This is her first album since the album “Brave” in 2005. Nichole Nordeman has had a couple of hits including the popular song, “Holy”, “Legacy”, “Brave”, “What If”, and “Real to Me”. She has also won four Dove Awards. The album begins with the title track called, “The Unmaking”. This song discussed breaking down the walls that surround us. We must let go of the past and everything that has held us back from the living the life God indented for us. When we let go, we find out who God truly is and we see the beauty in being broken. The second track was a song called, “Not to Us” and this one features Christian artist, Plumb. This one talked about creating images of ourselves and pursuing our own dreams without consulting with God first and building on sinking sand. The chorus talks about giving all the glory to God and not thinking it’s all us. I liked how the song was written like a praise song and it conversed the importance of giving God all the glory for everything and pointing others to him. I love the harmonies Plumb and Nichole Normeman had on the track and this would be a great single for radio. My favorite track would be track three, “Name”. This song discussed waking up and seeing the truth about how much God loved us and how he wrote our name in blood in His book. The chorus reminds us that we have the heartbeat of God and we aren’t our ashes and He knows our name. We have to avoid asking the shadows (the devil) who we are. The third verse/ bridge has such a powerful declaration for believers to encourage them when they forget how much God cares about them, and how we a friend of God, and we’re chosen. I loved the lyrics of this song and the reassurance of God knowing our personal name and people truly need to know this in this crucial time we live in. The message of hope will resonated with listeners and I hope this song make it to radio and is a huge hit! Track name four was entitled, “Loved You More” and this one talked about different Biblical stories including fleeting when the third time the rooster crowed, climbing a tree to see Jesus, being swallowed by the sea, and selling Jesus for a little silver and a betrayal kiss. The song related it back to how we did the same things and He still loved us. It also contained a cry to love Jesus more and a sense of gratuity for our second chances. I really loved and connected to the meaning of the song and wanting to love Jesus more. And He so gracefully still does even despite my countless failures. I liked how this song had the piano as the main instrument in this song and it gave it a peaceful Holy connection to God. Track number five was titled, “Something Out of Me” and this one dicussed the story about Jesus feeding the crowd of 5,000 with only five loafs of bread and multiplying it where it was enough for everyone. It was written in the perceptive as being one in the crowd and being in the back of the line and watching there be enough left. The chorus talked about how God takes something out of nothing and turns it into something. It also discussed how God takes our doubts and making something out of me. I liked how this song had a great tempo and it also contained a great reminder of how God can do the impossible. The last track of the EP was called, “Slow Down” and this one was about the raw truth about children growing up and how she wished the time would just slow down. It talked about the different stage of our kids growing up such as, learning to crawl and walking and even rolling their eyes. This song was a plea for time to slow down and many parents will most likely cry through it. I strongly recommend Nichole Nordeman’s new album to anyone who enjoys listening to Christian music. The albums features a mix of fast and slow tempo songs and there is something for everyone to enjoy. I’m so glad Nichole Nordeman has returned to singing and she has made an incredible EP for fans to love and listen to. If you’re looking for a hot new album to check out, then check out this album! Bannerizer makes it easy for you to promote ClickBank products by banners, simply visit Bannerizer, and grab the banner codes for your chosen ClickBank products or use the Universal ClickBank Banner Rotator to promote all of the available ClickBank products.